THE African National Congress (ANC) says it’s deeply shocked by the brutal murder of Councilor Luyanda Mbele. Mbele and his cousin Mzwandile Mathenjwa were killed last night. “The ANC offers its deepest condolences to the family, friends and comrades of both cousins. 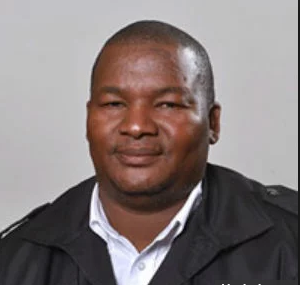 It has been established that they were shot and killed after dropping off their cousin in Wallacedene last night,” ANC Provincial Secretary Faiez Jacobs said. “No-one should be allowed to commit crime and think they can get away with it,” added Jacobs. “This is a great loss to the movement in the city and the province as a whole. Comrade Luyanda was a product of the ANC Youth League in the area and had contributed over many years to youth development. He was very active in local football and at one stage had served as the chairperson of the Bloekombos Football Association,” Jacobs said. Jacobs said only last week, comrade Luyanda was part of a meeting briefing national transport minister Blade Nzimande about public transport challenges in the city and province. Luyanda was reportedly very involved in trying to build, unite and strengthen the co-operative movement in our province. “We will not rest until these cowardly murderers are arrested, prosecuted and sent to jail," Jacobs said.